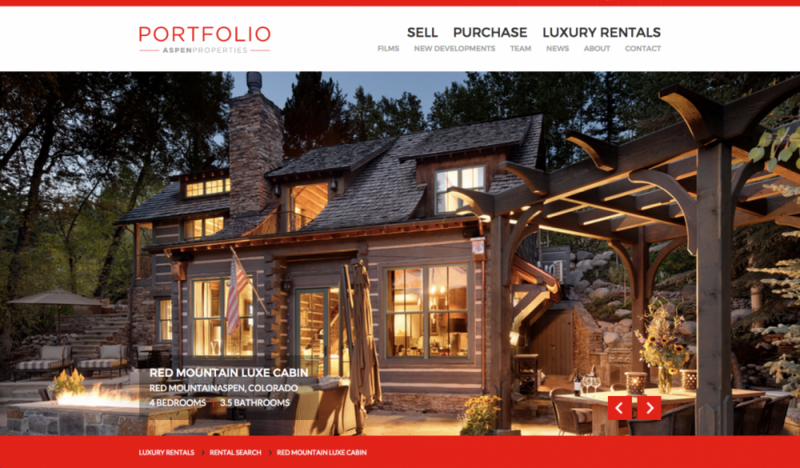 Portfolio Aspen is a luxury real estate group located in Aspen, Colorado, that works with consumers to buy, sell, and rent luxury properties in and around Aspen. They approached TVI with the goal of redesigning their existing website, which did not accurately communicate that they are a luxury real estate group. The new, fully responsive website includes a custom-built WordPress theme. The integrated IDX Broker plugin has been styled to match Portfolio Aspen’s brand and allows users to seamlessly browse real estate listings without leaving the site. The content management system makes it easy to build out pages, which features our custom page builder tool. The modern and contemporary design evokes a feeling of luxury and trust. Additional site features include sorting and filtering for rental properties, video integration, and a blog, to name a few.